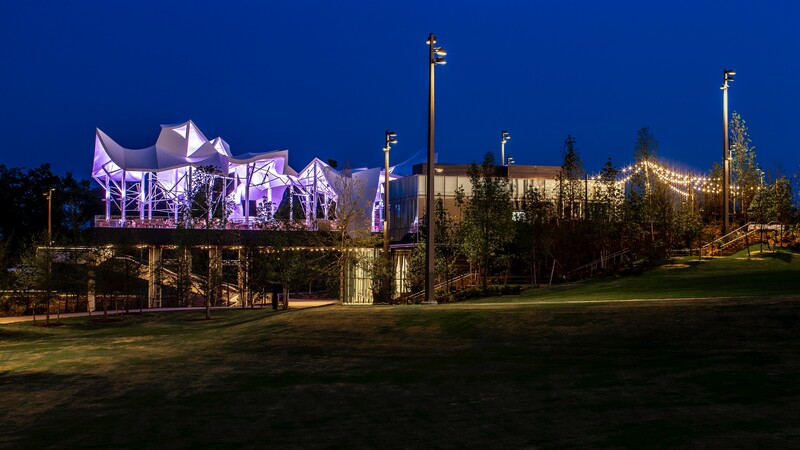 Nationally and internationally recognized Mack Scogin Merrill Elam Architects designed the three major public buildings at Gathering Place: Williams Lodge, ONEOK Boathouse and the restroom cabana. Each building embraces the powerful park landscape and in a combination of traditional modernist strategies which incorporates Oklahoma’s rich, natural material palate. The ONEOK Boathouse is a celebratory moment of exuberance in recognition of the hopeful, positive and extraordinarily generous spirit of the Tulsa Community. A place where the public can come together to experience the horizon, watch the sunset and register the ever-changing dynamics of the Tulsa skyline. Adventure seekers will discover a secret Cabinet of Wonder, a host of children’s events and learning spaces, the Vista restaurant, canoes, kayaks and the dancing roof at the open-air pavilion above Peggy’s Pond. While the boathouse is a highly programmed, activated space, the Williams Lodge is quietly welcoming. It is the symbolic front door for Gathering Place, where nature and human creation blend together to form a warm and embracing moment of transition from the everyday to the retreat of liberating nature. The Lodge Interior includes the Great Hall featuring the giant limestone fireplace. On the same level is the Parlor opening onto the trellised Patio with its family friendly food offerings. At the lower level, the fireplace is experienced once again outside the Red Bud Café, a fun coffee, candy, creamery and convenience shop. Other Mack Scogin Merrill Elam Architects projects include United States Courthouse, Austin Texas, Knowlton School of Architecture at The Ohio State University, Gates and Hillman Centers at Carnegie Mellon University, and the Lulu Chow Wang Campus Center at Wellesley College. 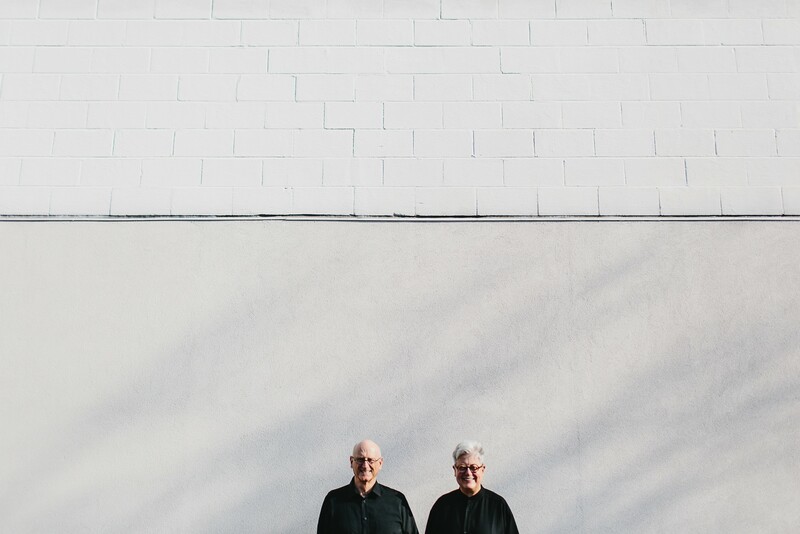 Mack Scogin and Merrill Elam have received distinguished recognitions including the Arnold W. Brunner Memorial Prize in Architecture of the Academy of Arts and Letters, 2011 and the Arts and Letters Award in Architecture of the Academy of Arts and Letters, 1995; the Cooper-Hewitt National Design Award for Architecture, 2012, and exhibitor for the United States Pavilion at the Venice Architecture Biennale, 2016. Learn more about Mack Scogin Merrill Elam Architects.